In my first article I explained why voluntary programs have become popular in governing the transition to a low-carbon built environment. In this post I explore voluntary programs and their rapid uptake in a wide range of sectors and countries in more depth. I specifically address expectations about how the design of voluntary programs affects their performance. Voluntary programs have become popular for governing societal and environmental problems in a wide range of sectors ranging from apparel to forestry, and from fishery to energy supply. 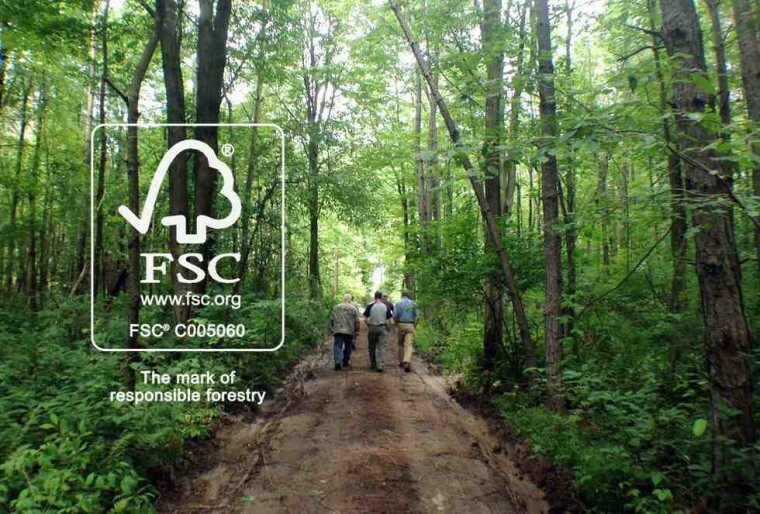 We can see the dominance of voluntary programs all around us: The paper you use in your office or at home likely has an “FSC certified” stamp on it, issued by the Forest Stewardship Council to indicate forest products (such as wood and paper) that have been sourced in an environmentally-responsible manner. What makes FSC-certified goods remarkable is that they are often slightly more expensive than non-FSC-certified goods. This rewards producers who produce their goods in an environmentally-sustainable way. The certificate thus works two ways. It helps consumers to trust the producers of their goods. And it helps producers to distinguish their goods from those of others, with an independent assessment and proof through the stamp – which may be more trustworthy than when producers make claims about the environmental credentials of their goods by themselves. Likewise, many food products (coffee, chocolate, meat, fish, eggs, dairy, and so on) come with certification to evidence their environmental, health or organic credentials. Many airlines have joined programs that allow their passengers to voluntarily offset their flights’ carbon emissions. And, indeed, many new buildings are now certified for their environmental credentials too. What makes a voluntary program work? While certification is perhaps the best known type of voluntary programs, they come in a much broader range of designs (the following three posts will each focus on a dominant type of voluntary programs for low-carbon buildings). Differences in program design are expected to result in different program outcomes. Of key interest are how well a program performs in attracting participants, and how well it performs in improving their behaviour. In terms of program design three aspects are of interest: their rules, the enforcement of these rules, and the rewards that come from complying with these rules. It goes without saying that a voluntary program should set meaningful rules for its participants to be effective. A program that requires a 30 per cent improvement of building energy efficiency compared with mandatory construction codes will likely be more effective than one that requires only a 10 per cent improvement. There is a caveat, however. The problem with very ambitious rules is that it may discourage prospective participants to commit to a program. Which of the following is more effective: a program that requires a 30 per cent improvement in energy efficiency and attracts 100 participants, or one that requires 10 per cent improvement and attracts 1000 participants (assuming, in this example, that all participants use a similar amount of energy)? Those designing and administrating a program face a trade-off between setting ambitious rules and attracting participants. Attracting participants is, however, no guarantee for improved behaviour. Participants may join a program seeking the benefits (say, certification of their products) without actually wanting to comply with the program’s rules. Such shirking behaviour is a problem that many voluntary programs face and has even resulted in new terminology such as “greenwash” and “window dressing”. A way to overcome shirking behaviour is to introduce monitoring and enforcement of participant behaviour. This sounds very much like the structure of mandatory building regulation and construction codes – and it is. Without monitoring and enforcement participants are unlikely to live up to their commitments. Yet again, those designing and administrating a program face a trade-off: Strict monitoring and enforcement may discourage participants (they may feel the program is not really voluntary and too much of a hassle) and the program becomes costly to administer (a cost that will eventually be borne by consumers). To overcome these trade-offs the rewards that come to participants when they commit to a program should be high enough. In other words, the gains from participating should be larger than the efforts and costs. Certification programs such as Green Star, for instance, provide an instrument brand that participants can use to tap a specific client base willing to pay more for low-carbon buildings. But rewards come in many other forms also. Voluntary programs may help participants gain an understanding of how to reduce the costs of doing business. This is what CitySwitch Green Office seeks to achieve. The program helps office tenants reduce their energy costs. Other programs may help participants to showcase their leading industry practice. This is what Sydney’s Better Buildings Partnership does. Through the program, the City of Sydney acknowledges the leading practice of the partnership’s participants in the national and international media. Yet another reward may be access to funds. This is what 1200 Buildings in Melbourne provides. The program gives participants access to funds for retrofitting their property. The performance of voluntary programs is also strongly affected by the context it is embedded in. For the performance of voluntary programs for low-carbon buildings, five context conditions are of interest to consider: existing building regulation and construction codes; economic circumstances; societal pressure; the role of government in voluntary programs; and the type of sector a program is implemented in. If a country or city already sets strict building regulation and construction codes to low-carbon building development and transformation, voluntary programs may easily ask too much of property developers, owners and users. Yet, if such regulation and codes are very lenient or even absent, there may be little point for them to join a program. The program then simply does not give them a competitive advantage over their peers. There must be a market demand for low-carbon buildings that perform better than what is stipulated by mandatory building regulation and construction codes. Property developers, owners and users are not likely to join a program if there is no financial profit for doing so. Consumer demand for environmentally sustainable goods and services appears related to their disposable income. It may thus be expected that voluntary programs perform better when economic circumstances are better. Besides seeing a market for low-carbon buildings, property developers, owners and users must also feel pressured by society at large. The FSC is a typical example. It has become successful in part because of a growing societal pressure for sustainable forest management and concerns about deforestation. The role of government in voluntary programs is relevant also. As consumers of office space, governments can demand their developers and landlords to commit to voluntary programs. But they can also threaten to introduce mandatory building regulation and construction codes if the construction and property sectors do not commit to voluntary programs. A final and critical condition in the performance of voluntary programs is the type of sector it is introduced in. In the previous post I already introduced the idea of “winner takes all” markets. In such markets voluntary programs are more likely to be successful than in highly fragmented markets, such as the construction and property sectors. In winner-takes-all markets a small number of leaders may set the tone for the laggards. If they do not follow the leaders they may go out of business. The construction and property sectors are, however, so fragmented that the leaders are often not an example for the laggards to follow. They will always be able to find their own niche market of clientele that is not interested in low-carbon buildings. Because there are so many trade-offs between these design conditions of voluntary programs (rules, monitoring and enforcement, and rewards) there is no blueprint for a program design that is guaranteed to result in desired outcomes (high numbers of participants and improved participant performance). Likewise, because so many contextual conditions affect program performance one cannot just take a program that works in one country or city to another and expect that it will work there also. These are important insights for voluntary programs in the construction and property sectors. Too often national and city governments seek to “copy-paste” a program from another context to their own. Too often organisations such as green building councils are founded by the construction and property sectors to manage a certification scheme to tap a consumer market for low-carbon buildings. These voluntary programs are often implemented without much consideration. More problematically, they are often implemented with high hopes and expectations about how they will accelerate a transition to a low-carbon built environment. In the three posts that follow I will discuss the value and limitations of three dominant designs of voluntary programs for low-carbon buildings: certification and classification programs, knowledge programs and funding programs. They give some insight in how poorly these programs have performed thus far.